Wonder of wonder, miracle of miracles, I was a lucky, vomit-free lady. Mostly nausea-free, too… but I still felt like crap. Evenings were the worst. My commute left me exhausted and even bland comfort foods left me wishing I’d eaten something else. I spent a lot of time with my DVR and Netflix. Yes, it could have been much, much worse. I ate fairly normally – got to enjoy Thanksgiving, even – and felt well enough to work. But mentally, the fatigue was tough. My post-work gym trips weren’t happening. Neither were book reviews, homemade dinners, or post-work much of anything. It was upsetting and stressful not to be able to stick to a good habit or routine. Hormones. My natural disposition. The proliferation of pregnancy forum users who have populated Google searches with stories of injury and loss for every symptom, for every lack of symptom, for every week+day. The secrecy. The maddening “just wait and see” (if your tiny ball of baby cells is still alive) nature of gestation. It’s a normal process, pregnancy. Miscarriage, also normal. High strung control freaks, beware. What helped? Attempting to stay busy. Bloggers who wrote candidly about pregnancy anxiety (Spacefem, Wisdom & Honey, Daily Garnish). Keeping a journal. My dear, darling understanding husband. 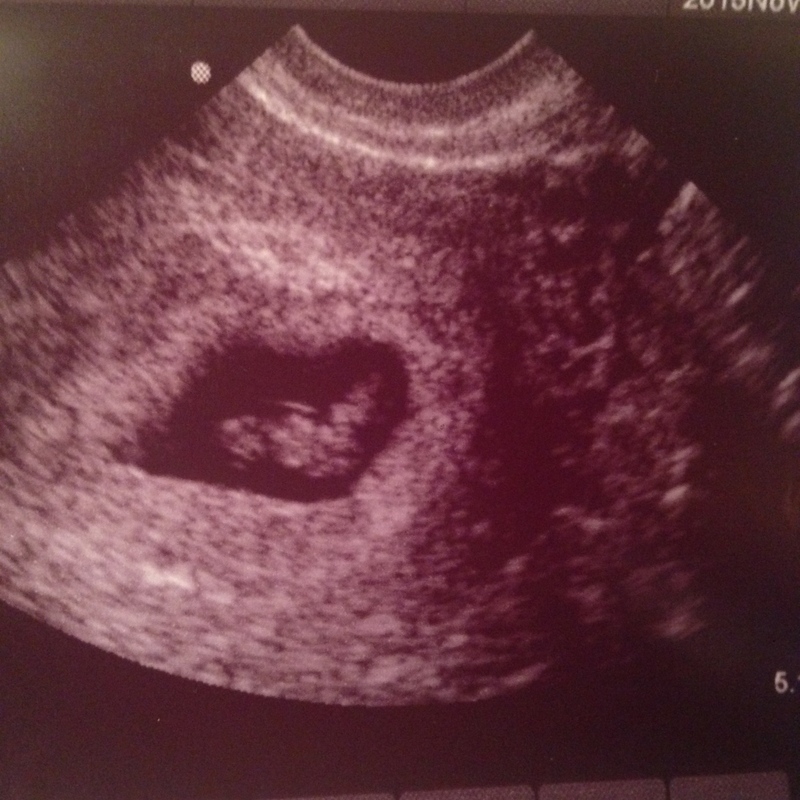 The morning of my 12-week ultrasound, I decided that would be it. If everything looked good, then it would be real. I would try to stop assuming that everything would come crashing down around me, start considering the likelihood that I would have a healthy, normal pregnancy. Not only did everything look good, everything looked like an actual baby. The anxiety didn’t stop entirely at that point – don’t worry, I’m still finding all sorts of things to freak out about – but it did let up a little. I stopped feeling so impossibly gross around 11 or 12 weeks and decidedly less of a panicky basket case by 16 or 17. 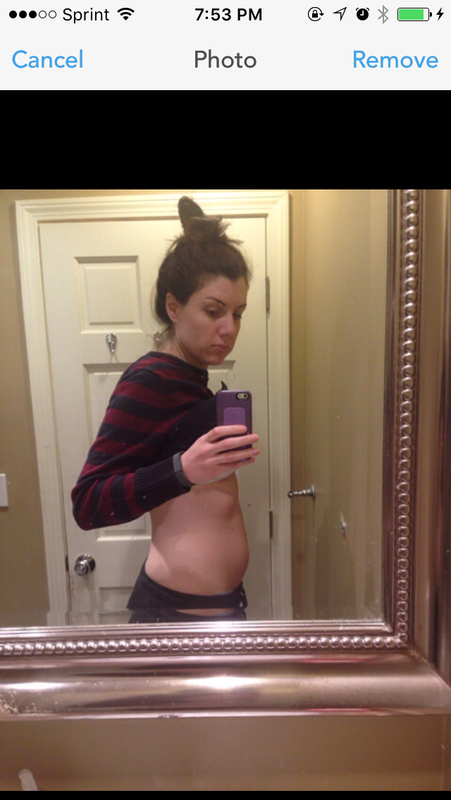 The first half of the second trimester seemed to be mostly all about telling everyone. Tell family (“WE KNEW IT!”). Tell Michigan friends (“OH MY GOD, FINALLY!”) Tell Boston friends (“OH MY GOD, WHERE ARE YOU GOING TO PUT YOUR BABY IN YOUR TEENY APARTMENT?”) Tell boss, tell work friends, tell friends that live across the country, tell the Internet, tell random cashiers, tell your dental hygienist, tell waiters who are trying to serve you cheese that is just too delicious, tell, tell, tell, tell… Make your gestational status known to the world, Jessica! Enter the realm of the Publicly Pregnant! Other Getting Huge activities have included feeling super awkward at my gym full of weightlifting bros, jury-rigging a pair of jeans with a long tank top and yoga pants into something resembling maternity pants, waking up a zillion times a night with sore hips, and hiding little bags of Tums in every pocket, drawer, and purse in my possession. Since I suppose I’m not the only one Getting Huge here, activities in my baby’s life seem to include punching, kicking, rolling, tumbling, and generally not sitting still. I felt the first little twitches early; by 16 weeks they were pretty regular and occasionally visible. It started off feeling super weird – like being inhabited by an alien – then for a while it felt mostly like gas. Now the dang child is so acrobatic I almost don’t notice. And here I am, now well into the third trimester. 33 weeks… the home stretch. I suppose I’m still feeling *reasonably* good. As in, I’m still standing. I’ve graduated from Tums to Zantac. Still doing some leg weights at the gym once a week or so, but trying to get my 10k steps a day otherwise. I spent the first half of April on the go – five nights in Denver for PLA (which was super fun!) then four nights in Michigan for my baby shower. Aside from trying to get things out from under my airplane seat, the travel was fine… but as soon as I got back to Boston, everyday life became a little more, ah, challenging. My usual routines have me feeling more fatigued, irritated, and uncomfortable than usual. Okay, maybe a lot more. But! I’ve got seven-ish weeks left to go. 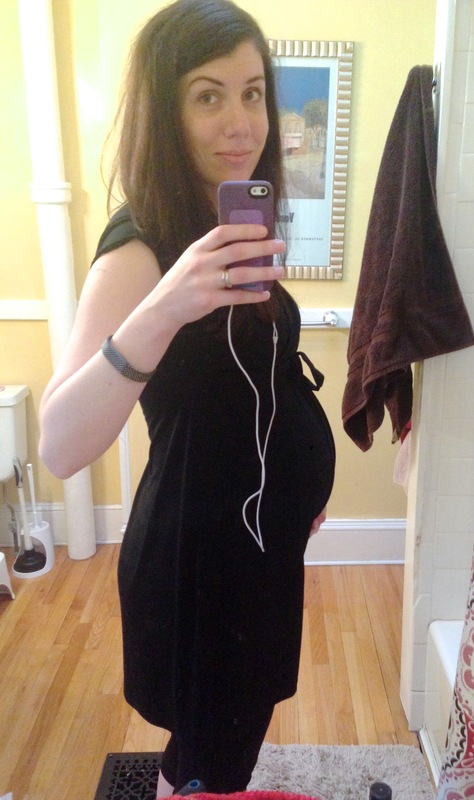 Seven weeks of working, commuting, book reviews, cooking dinner (ugh), and… um, also actually getting ready to have a baby? I’m trying my best to stay generally chill about the process – it’s natural! Normal! Ordinary! But daaaaamn there’s a lot to do and think about and decide. First you have to get the kid out – bring on the doctor’s appointments, the forms, the L&D tours, the hospital bags. I’m planning on delivering without pain medications or interventions. That decision was easy enough – it’s what my mom did (4 times), it’s what I’ve always imagined or myself, and the medical benefits seem clear. But now that I actually have to make it happen, it seems like less of a mystical, somewhat crunchy choice – a personal moral mission statement – and more of a confluence of chance (will baby and I stay healthy?) and a measure of personal determination. So I’m trying to psyche myself up by reading books, taking a weekend childbirth class, avoiding scary birth stories on the Internet. Also, trying not to think too hard about how big a newborn baby actually is. After that, though, you have a new baby! Which is also a new health situation unto itself. In the hospital, babies need shots and tests and other health stuff. They may need to be circumcised (or not?). They definitely need a pediatrician. 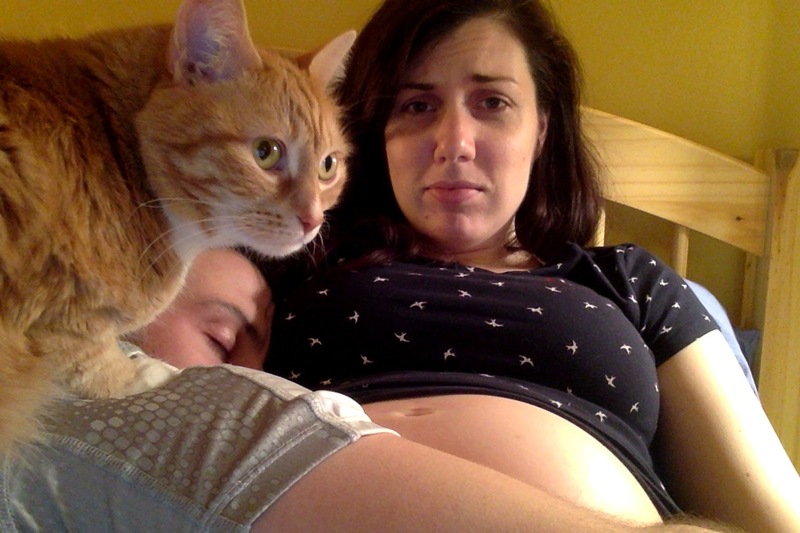 And then there are all the… post baby-coming-out-of-your-body… issues. There’s no way to know how healthy either Mom or baby will be – either everyone will recover and thrive quickly or there will be hurdles. Is that is? Anything else? Baby care. Baby names. Breastfeeding. Sleeplessness. Marriage maintenance. Laundry. Visitors. Money. Childcare. A lifetime of providing care, assistance, and love to a new human I have not yet met. How do so many people accomplish this task? How does this stroller fold up again? What is this thing with pages and words that I remember from a time gone by? A book? I’m sure I’m not the first lady to say this, but I’ll say it anyway: pregnancy has definitely been one of the most bizarre experiences I’ve ever had. It’s a major life decision; one of those monumental decisions that – at least for the likes of me and my dearest husband – necessitates months (years?) of discussions, debates, scheduling, and taking care of one’s emotional… laundry. It’s a major lifestyle shift, not unlike… oh… deciding to move across the country. The teetering to-do lists, the money-spending, the planning-talking-planning-talking-planning; it’s all reminding me very much of when we moved to Boston. Like moving, it feels like a good choice, and an exciting one. A choice that will change our lives in many positive ways. But there’s also no way to know for sure what’s down the road now… and either way, we’ve officially signed up for a major, adult-style upheaval. It’s been a complicated logistical task, yes. A relationship challenge, an emotional workout, a medical condition (sort of), and a giant leap of faith. But it also feels like… a magic trick. A bit of mystery that my body has conjured up, that women have been conjuring up since the very start of it all. It makes me feel connected to those other ladies. To my mother, and the rest of the my family. To my husband. To the world in general. We’re all in this crazy, perpetuate-the-species procreation game together. It’s all about to be over, and it’s all about to begin. Now what kind of a book blogger would I be if I didn’t send you out with a little reading list? Here are some (relatively) useful pregnancy-related books I’ve read during the past year or so. The Impatient Woman’s Guide to Getting Pregnant by Jean M. Twenge – Maybe it’s just the crowd I hang out with, but I feel like there are two options when it comes to trying to get pregnant – impatient or oops. There is no patient. This book was easy to read, mildly edifying, and comforting. Taking Charge of Your Fertility by Toni Weschler – The kind of personal medical tome you don’t want your friends to see laying around your house. But it definitely demystifies the whole “getting knocked up” thing real quick. Common Sense Pregnancy by Jeanne Faulkner – When I found out I was pregnant, this was my official Life Milestone, YouDeserveToSpendMoneyonaBook choice. It was a little light on the actual pregnancy information – mostly birth stuff – but, again, “common sense” says that pregnancies are pretty boring and not requiring much information. Expecting Better by Emily Oster – I tried to read this book right away, but the first few chapters are all “what dangerous stuff *actually* causes miscarriage which, even though I hadn’t been dabbling in the dangerous, freaked me out. I came back to it later and found it pretty fascinating on audio. Ina May’s Guide to Childbirth by Ina May Gaskin – I’ve dipped into other birth-related books, but this is the only one I’ve finished. 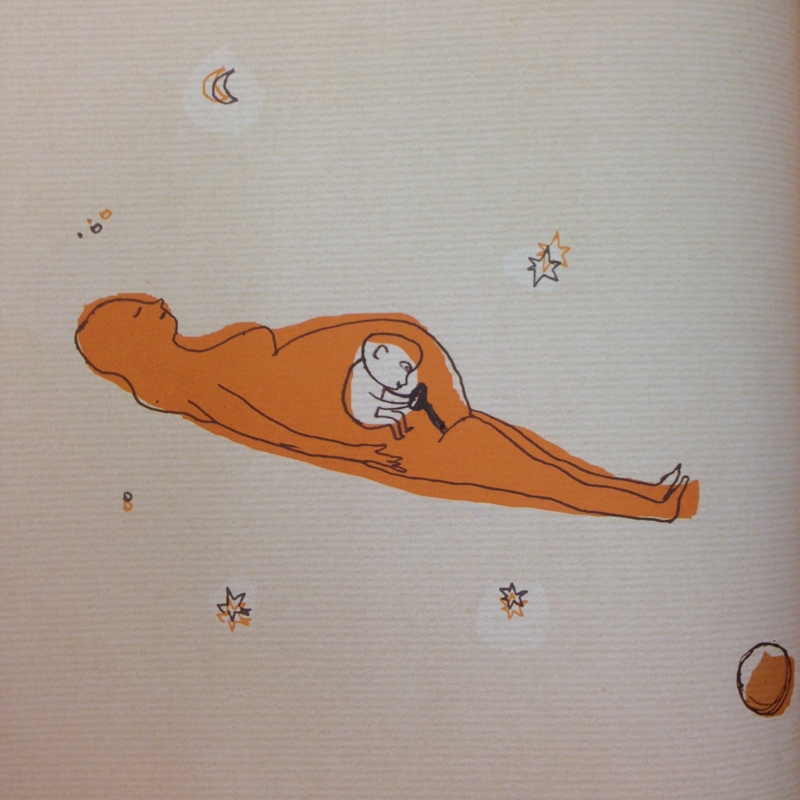 The first half is a bunch of happy, hippie birth stories. The second half is medical info with a “just try to avoid anything medical” slant. I liked it, but… I’m into that kind of thing. Your personal mileage may vary. This post really resonated with my recently pregnant self . . and you said it way better than I ever could. 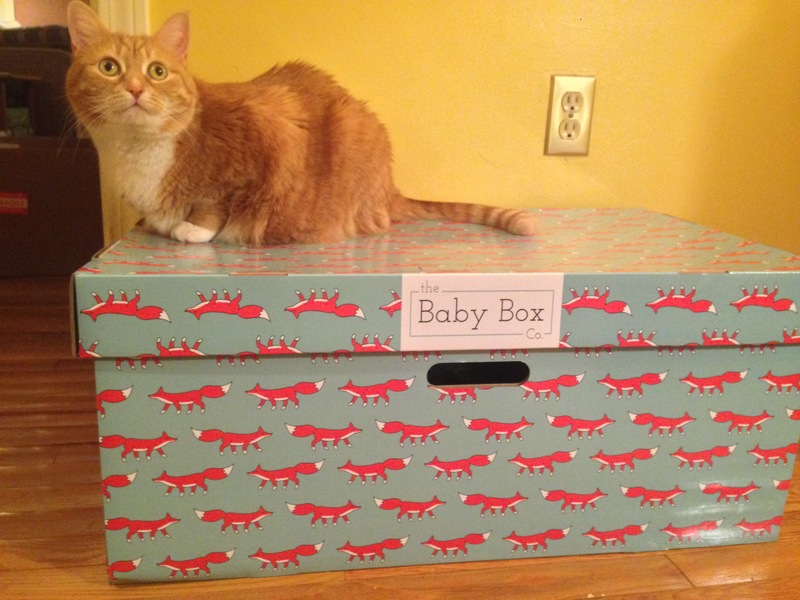 I hope you have a lovely childbirth experience! Mine was drug free and I felt like a superstar afterwards.